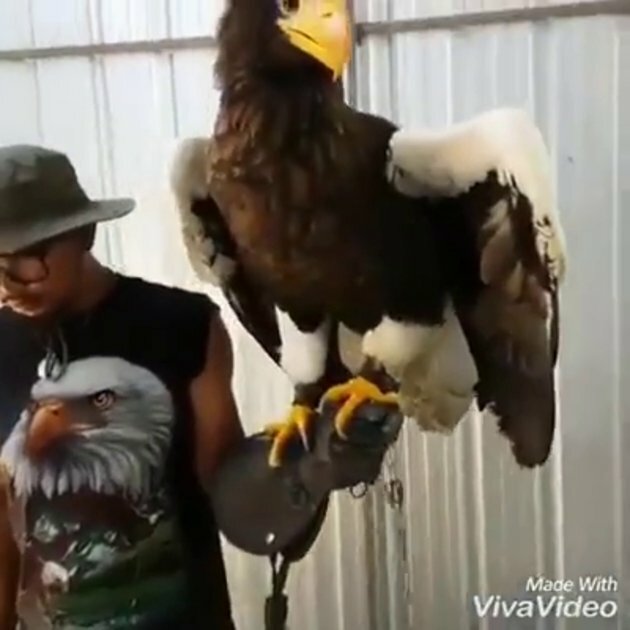 What if the eagle is normal size but the guy holding it is really small? Roughly translated they are saying. "I know you are fond of him but table 6 has ordered Eagle and that's that." #4 It's not the eagle they rescued from the goat, is it? #5 Somehow I think if this was the Eagle there would still be a goat attached to it.